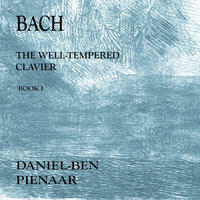 Daniel Ben Pienaar: Virtuoso pianist playing bach's 48. Daniel-Ben Pienaar was born in South Africa. He was educated at the Royal Academy of Music where he won the Queen's Commendation in 1997. He now teaches piano and lectures at the Academy. His solo discography includes both books of Bach's Well-Tempered Clavier, the Chopin ballades, the first complete recording of the keyboard music of Orlando Gibbons and, on Avie, Mozart's eighteen piano sonatas and Bach's Goldberg Variations. A release of Beethoven's Diabelli Variations is projected for 2012. Recent concert work includes sonata cycles of Mozart (at Oxford University) and Schubert (at the Royal Academy of Music). Upcoming engagements include appearing at the Singapore International Piano Festival and performing Bach's complete Well-Tempered Clavier at King's Place in London. Chamber music activities include three discs for the Linn label of music for trumpet and piano (mostly in his own arrangements) with Jonathan Freeman-Attwood. "Interpretations where, within the letter critically observed, a numinous power breaks free. Momentous Mozart." "Pienaar responds with an astonishing range of expression and colour." "It is, quite simply, one of the finest complete recordings." 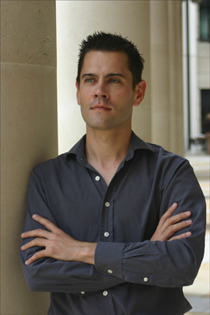 Daniel Ben Pienaar lives in London, England. 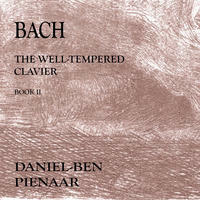 Tagged as: Classical, Baroque, Instrumental Classical, Classical Piano, Composer: Johann Sebastian Bach.